Looking for an easy and delicious appetizer for your dinner party? 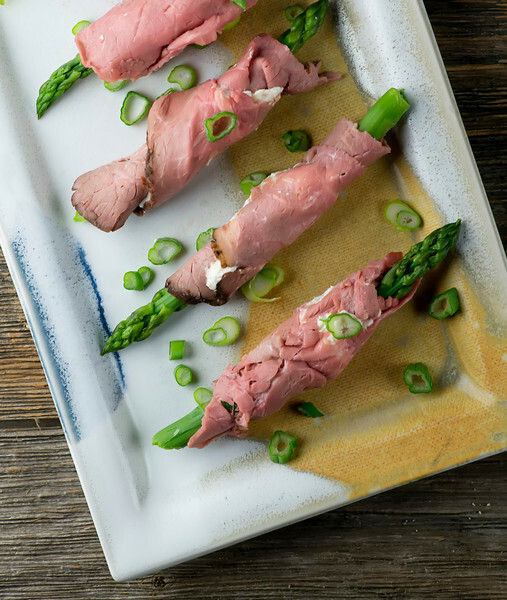 Roll up some asparagus in a roast beef and some horseradish cream cheese for an instant elegant appetizer. Horseradish asparagus roast beef roll-ups for the win! There are times when I find myself serving things that really qualify as appetizers to the Southern husband for dinner. Cookie sheet nachos. Scallops wrapped in bacon. 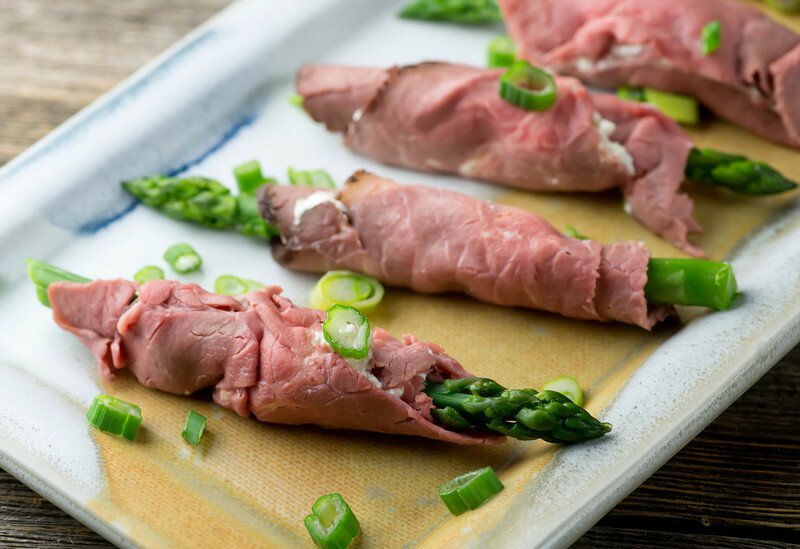 And these addictive horseradish asparagus roast beef roll-ups. But hey, they all involve a protein and a veggie of some sort, and as far as I’m concerned if you eat enough of them they totally qualify as dinner. Am I right? I think I’m right. In addition, the appetizer approach to dinner is usually, well, QUICK. I’m all about quick on a busy Wednesday, or even on a Saturday night where the polar vortex has us once again trapped in the house and we want something to nibble on while we watch all those episodes of Outlander that have built up on the DVR. And so for times like those, here is one of my faves. They are just as easy as they look. Cook up a bunch of asparagus just for a few minutes…you want them to still have a nice crunch. Now mix up some whipped cream cheese (the whipped kind is a lot fluffier and easier to work with than the regular) with some horseradish, and spread it over as many thin slices of roast beef as you want. Pop an asparagus spear in the middle, roll it up and yes! You’re done. I like to arrange mine on a pretty platter and scatter some scallions over the top, even if it is only us and a Wednesday night. Light a few candles, open a bottle of wine, and Appetizer For Dinner night might turn into a Regular Thing! Roll up some asparagus in a roast beef and some horseradish cream cheese for an instant elegant appetizer. Horseradish asparagus roast beef roll-ups! Bring a pot of water to a boil and cook asparagus until crisp-tender, 2-3 minutes depending upon how thick it is. Immediately transfer the asparagus to a bowl of ice water to cool them, then dry them on paper towels. Mix together the cream cheese and the horseradish, using more or less horseradish depending upon how spicy you like things! Spread each slice of roast beef carefully with the cream cheese mixture. Place an asparagus spear at the end of each one and roll them up. Arrange on a pretty platter, sprinkle with scallions and serve! These look like they would be a perfect app for Easter. It will be on the menu. Thanks. Hurray! Easter (and spring) can’t come soon enough.